Volkswagen has now made new 2017 Golf GTE available for order in Europe (see video walkthrough). In Germany prices starts at €36,900 ($39,405). 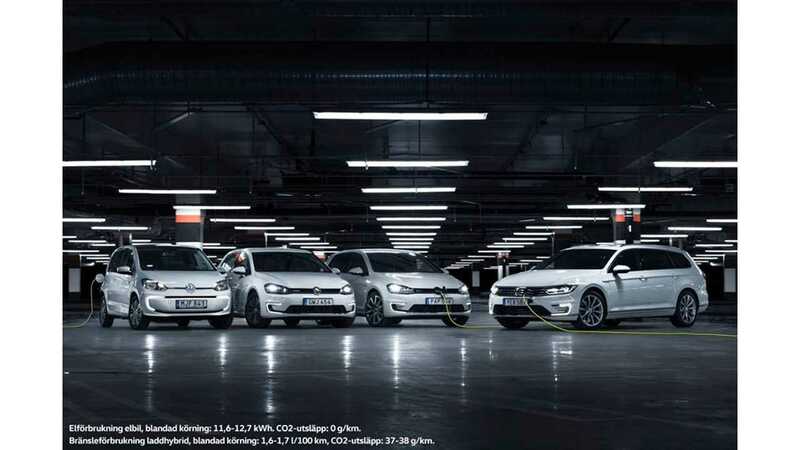 The new version of plug-in hybrid is based on the MkVII generation of Golf, but unfortunately doesn't bring any new revolution in its electric drivetrain. It's simply a newer, better equipped GTE - complete with LED lights, Traffic Jam Assist function (partially automated driving up to 60 km/h) and gesture control features. 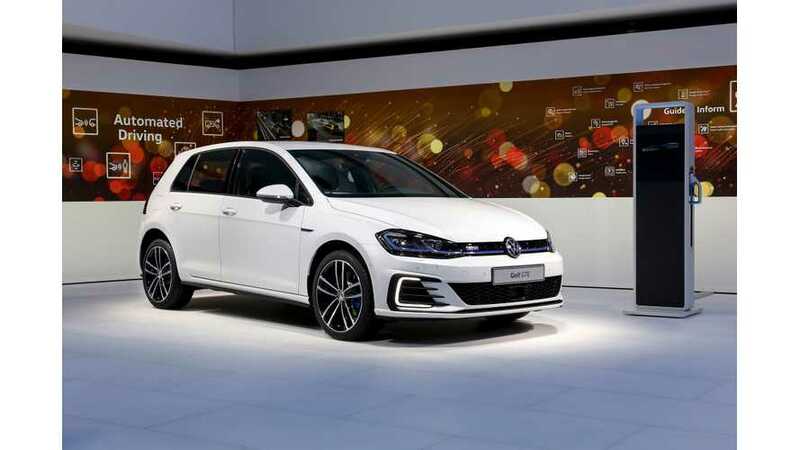 "With the launch of the new Golf GTE, Volkswagen is bringing onto the market the updated version of the plug-in hybrid, which, like its predecessor, perfectly combines sustainability and driving fun. That is ensured by the extremely agile compact car's drive system, which consists of a 1.4-litre TSI delivering 110 kW/150 PS, a 75 kW/102 PS electric motor and a six-speed dual-clutch gearbox developed specifically for hybrid models. 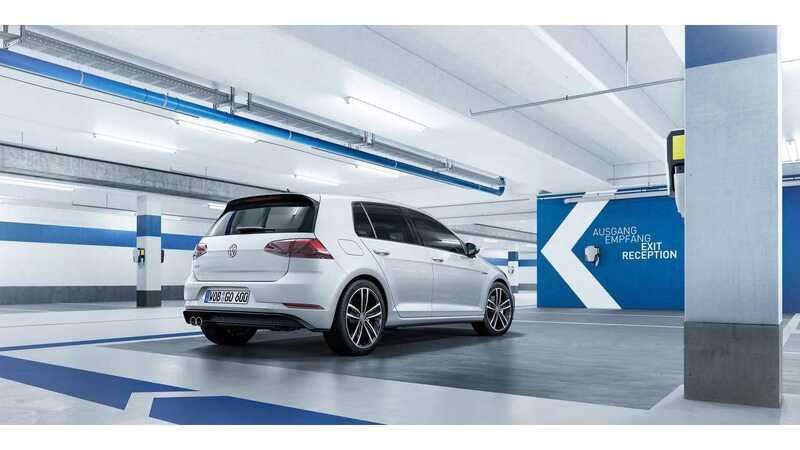 The Golf GTE can cover up to 50 kilometres in all-electric mode, with its total range being around 880 kilometres. Striking design elements, such as the winglets in the front spoiler, are in characteristic blue. The GTE's new LED headlights, which likewise come as standard, further underline this efficient Volkswagen's dynamic character." "In addition, further new features can be ordered at extra cost: the new Discover Pro radio, navigation and online system can, for instance, be operated for the first time in the compact class via gesture control. In parallel with this there is a greater array of online services and apps. The new Golf has also been upgraded in terms of driver assistance systems: technologies such as the City Emergency Braking function with new Pedestrian Monitoring (Front Assist), the new Traffic Jam Assist function (partially automated driving up to 60 km/h) and Emergency Assist, likewise new in this segment, significantly improve levels of safety and comfort."